China is one of the trickiest countries to travel to when it comes to internet freedom. This is thanks to the famous “Great Firewall of China (GFW).” If you are not familiar with it, this is a government enforced internet filter that blocks even the most popular internet services and websites in your country. These include Google, YouTube, WhatsApp, Instagram, Twitter, and many others. If you are travelling there for holidays or as an expat, you need to have a VPN. Unfortunately, most VPNs don’t work in China. The Great Firewall of China uses Deep Packet Inspection (DPI) to detect VPN traffic and block OpenVPN connections. For a VPN to work in China, it needs to have obfuscation technology which disguises OpenVPN traffic as regular HTTPS traffic, hence circumventing the GFW. There may be free VPNs that still work in China, but these VPNs can’t be relied upon. This is because the GFW is regularly updated to block out users that are trying to circumvent the censorship using a VPN. As a result, a VPN for China needs to keep on updating its systems, but even the best free VPN for travelling to China can’t afford to do that regularly. Such reliability can only found in the best premium VPNs for China. Naturally, the GFW reduces your internet speeds greatly when you use a VPN. Coupling this with the fact that free VPNs usually have slow speeds can leave you frustrated. At the end of the day, you may have to resort to the best premium VPNs for China. All free VPNs limit the amount of data you can transfer on their network. This is usually done to preserve the limited resources and even as a move to tempt you to upgrade to their paid VPN service. This means that even if you unblock data-intensive services like YouTube, you won’t be able to use it for long before you reach your monthly or daily limit. Free VPNs usually aren’t as private and secure as their premium counterparts. This is because most free VPNs tend to keep your logs so that they can share it with their business partners or even sell it to third-parties in order to gain some profit. As the adage goes, if you are not paying for the product, you are the product. Their security is also not fool-proof since they don’t have the resources to implement the best security standards. If you wish to avoid all these and other issues associated with free VPNs, you have to go for the best VPN for China. 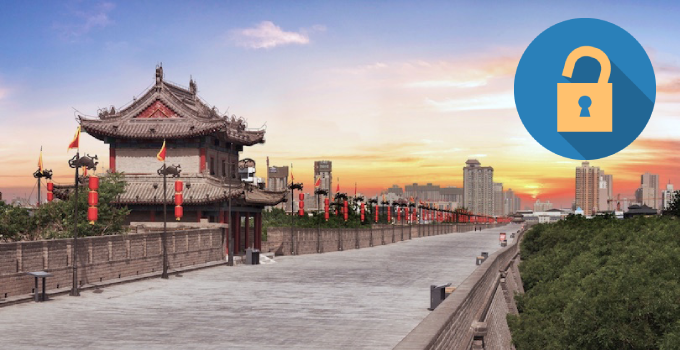 We however still have a roundup of the best free VPN for travelling to China if you are on a strict budget. Below that list is another of the best premium VPNs for China, should you decide that the service is worth the few bucks it costs. Windscribe is one of the few free VPNs that work in mainland China. The VPN has a stealth mode that helps it overcome the censorships imposed by the Chinese government. Always ensure that you use the stealth mode with port 443 for optimal performance in China. However, you will still have to put up with the limitations placed on the free VPN service. Their data transfer limit is a bit generous compared to other free VPNs, but you still can’t use more than 10 GB a month. Connection servers are limited to only 11, but fortunately one of them is in Hong Kong. TunnelBear has a GhostBear feature which is obfuscation technology used to bypass the Great Firewall of China. The VPN has servers in Hong Kong which are meant for users living in or travelling to China. The VPN however slows down your speeds significantly, and so it may not be very helpful if you are looking for a high-speed internet connection. 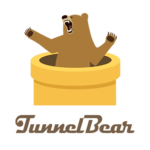 TunnelBear also limits you to only 500 MB of data per month. This can be increased to 1.5 GB if you tweet about them, but that is still too little for daily usage. You can only use TunnelBear for light tasks such as using Gmail while in China. ExpressVPN is the most popular and most reliable VPN for use in China. The VPN works well in the country thanks to having developers who are dedicated to solving any issues that arise. It’s also the fastest VPN for users in China, and it has a wide array of servers in Hong Kong, Taiwan and Japan to reduce connection distances. ExpressVPN has apps for almost all devices, and they are all extremely easy to use. Though the GFW blocks VPN websites, ExpressVPN allows you to create an account and download the clients in a mirror website that is not blocked. You can always contact their support team to get the link. To work in China, ExpressVPN uses obfuscation protocols and advanced technology (which they do not specify) to circumvent the GFW DPI. In case of any trouble while using the VPN, you can always contact their live chat agents, and you will get assisted immediately. 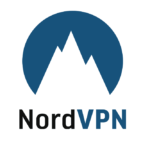 NordVPN recently announced that the VPN is now working in China, and it has been very reliable since. The VPN is actually very good at unblocking services in most countries like Saudi Iran, Arabia, and yes, China. They have a team that actively monitors connectivity especially in China and then carry out the necessary adjustments. In the settings of their client apps, you need to tick the option “Obfuscated servers.” From there, you can then select a server, preferably in Hong Kong or Japan. This is the VPN with an unrivalled number of servers in those countries, and so you will always get fast servers near you. NordVPN has clients for almost all platforms, and it offers a 30-day money-back guarantee for any plan you choose to go for. The main feature that makes VyprVPN one of the best VPNs for China is its proprietary Chameleon security protocol. This protocol is capable of scrambling OpenVPN traffic to make it appear like legitimate HTTPS traffic, hence being able to beat DPI. The protocol is only found in the Pro version of VyprVPN. 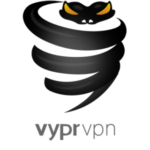 [vprvpn]VyprVPN[/vyprvpn] is one of only 2 tier-1 VPN networks since it owns and controls all its servers. 14 of those are located in Asia to help users in China connect with good speeds. Their VPN clients are very impressive, but the VPN tends to keep some logs, and so it’s not suitable for tasks like torrenting. In such a case, you will have to choose between ExpressVPN or NordVPN. Though you can still get one of the best free VPN for travelling to China, you can never rely on them. If you need to stay connected to the rest of the world, you need to invest in a reliable VPN for China like ExpressVPN, NordVPN, or VyprVPN. We want to advise you to create an account and download the VPN of your choice before travelling to China.